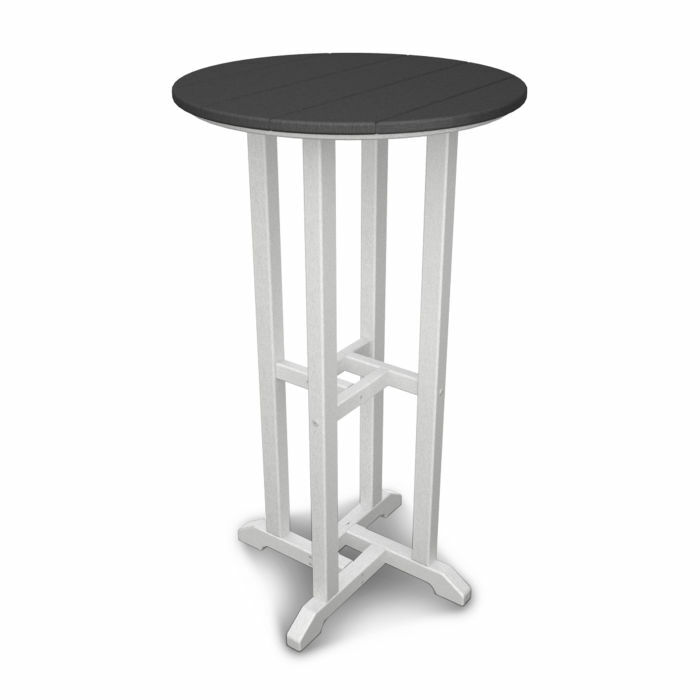 This modern bar height table is perfect for a more intimate get-together or in a smaller outdoor space. POLYWOOD furniture is constructed of solid POLYWOOD lumber that's available in a variety of attractive, fade-resistant colors. This modern bar height table is perfect for a more intimate get-together or in a smaller outdoor space. POLYWOOD furniture is constructed of solid POLYWOOD lumber that's available in a variety of attractive, fade-resistant colors. It won't splinter, crack, chip, peel or rot and it never needs to be painted, stained or waterproofed. It's also designed to withstand nature's elements as well as to resist stains, corrosive substances, salt spray and other environmental stresses. Best of all, POLYWOOD furniture is made in the USA and backed by a 20-year warranty.